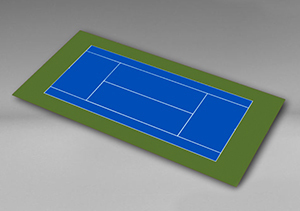 Looking for a standard tennis court solution? VersaCourt offers junior and full-size tennis court kits that are shipped ready to assemble on standard concrete base pads. All you have to do is pick out the court color. 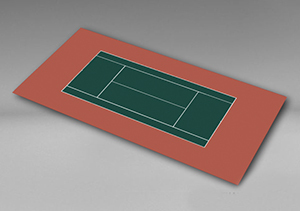 Check out the tennis court dimensions and product specifications below to determine the right court size for you. Min. Base Dimensions: 51'2" x 100'1"
Min. Base Dimensions: 59'7" x 120'4"